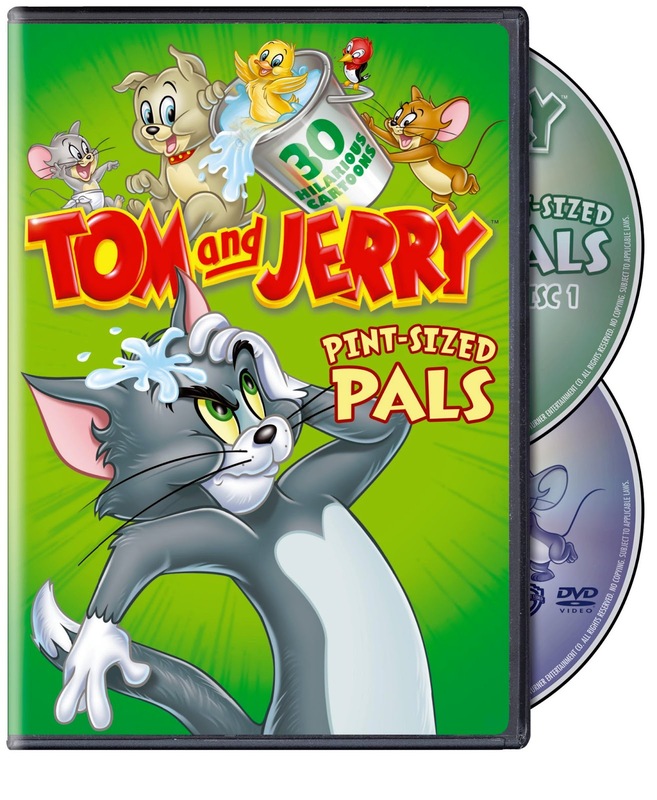 A RUP LIFE: TOM and JERRY: PINT-SIZED PALS now on DVD! TOM and JERRY: PINT-SIZED PALS now on DVD! Another great DVD from WHV! My kids are loving all these classic cartoons! I have to admit my husband and I chuckle at some of the on screen antics too. Funny how much we remember from our Saturday morning viewing. Meet Nibbles, Tuffy, Quacker and Tyke, some of Tom and Jerry’s cutest companions on Warner Bros. Home Entertainment’s (WBHE) release of Tom and Jerry: Pint-Sized Pals, set for release March 5, 2013. This must-own collection showcases 30 hilarious shorts featuring some of the tussling twosome’s most popular pals in a set of hilarious adventures the whole family can enjoy together. The cartoon selection in this collection is comprised of several legendary classics, including an Academy Award®-winning title and a number of contemporary shorts. That mischievous duo is at it again and their never-ending rivalry is fueled by some of animation’s most adorable characters in Tom and Jerry: Pint-Sized Pals. Spike the bulldog is at his most intimidating when he’s with his precious pup, Tyke. Several adventures featured on this set, including Hic-cup Pup, Pup on a Picnic, That’s My Pup and others, feature the lovable Tyke and his over-protective dad, as they become entangled in Tom and Jerry’s endless pursuit. Nibbles, the perpetually hungry little mouse, re-emerges in several cartoons including Mice Follies, where Nibbles and Jerry turn the kitchen into an ice-skating rink, and again in The Two Mouseketeers, which won an Academy Award® for Best Short Subject: Cartoons. Tuffy, another precious and precocious little orphaned mouse, is Jerry’s pal throughout a set of Hanna-Barbera-directed classics, including Little School Mouse which is featured on this set. Tom and Jerry: Pint-Sized Pals presents viewers with these and several other hilarious and endearing adventures. TOM and JERRY: PINT-SIZED PALS is available at your local retailer and online at Amazon! Thank you to WHV for providing a product to test. As always all opinions on A Rup Life are my own and individual results may vary!